The last week of the course was great fun. We did a 2 part class of Profits and Planning-Recording. There were a few keen learners in this and you could hear the clogs turning in their heads! At one point Marco, who I was sitting next to and is a 63 year old ex-farmer turned café owner, said ‘yo entiendo’ meaning, ‘I understand’. That was something pretty cool I thought. He was trying to work out that, if he makes a 300% profit on the ingredients of his drinks then why isn’t he a millionaire by now… The class were put to the task of working this out and answers started flying our way ‘because he has to pay rent’ was one response ‘because you need to have electricity to keep ice frozen’ was another response and they kept coming until we had filled the board. Profit became something different for everybody I think. In the class of Planning and Recording the students were a bit apprehensive. Some struggle to read and write and I think that the idea of recording anything on paper is a bit scary to some. The examples made it easy to see the value in it but it was when Enrique put a real example on the board of the sewing ladies and things fell into place. You know that there’s real interest when Silvia asked if she could please have a piece of paper so she could copy the example. That is the first time I have heard that here! I said we can do better than that and I presented everyone with their very own records book! Not the most exciting gift in the world but you should have seen their faces, it was classic! I think that it is not the value of the book, as that is only about $1, but it is the value of what they now know they can do with it that is worth so much. 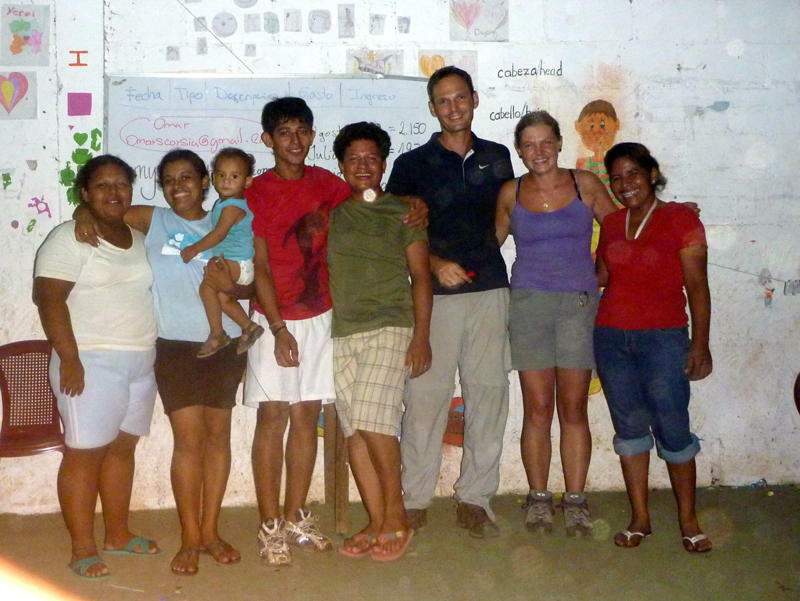 Thank you very much to the Barefoot MBA team of Katherine and Scott for your help and your support. When we were looking at developing some sort of business course, the idea was just daunting! Then we came across your program and we have been excited about it ever since. Thank you again. The Nicaragua adaptation is on our curriculum page. 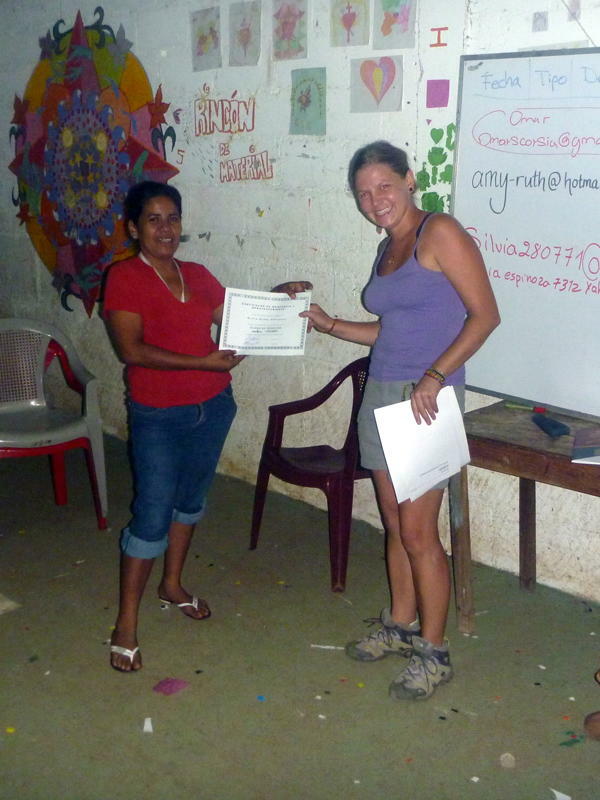 Amy-Ruth and Enrique also shared the application form they distributed to prospective participants.